John Merrick is the Richard S. Reynolds Professor of Business at the College of William and Mary's Raymond A. Mason School of Business and a Principal at WEFA, LLC. Professor Merrick, who has split his professional career between academia and Wall Street, worked for six years at Lehman Brothers in fixed income derivatives research, product management and proprietary trading, and spent five additional years in the hedge fund trade advisory business. Professor Merrick's research focuses on securities markets, securities valuation and market manipulation. He has particular interest and expertise in problems where market conventions and practices collide with textbook academic thought. He came to William and Mary in 2005 from Baruch College, where he had spent four years after a second stint on the faculty of New York University's Stern School of Business. He has served as a visiting scholar at the Federal Reserve Bank of Philadelphia and a consultant to the World Bank. He received his B.A. from La Salle University and his Ph.D. in Economics from Brown University. In the Mason School, Professor Merrick teaches Financial History, Money and Debt Markets, and Fixed Income Securities and Securitizations. 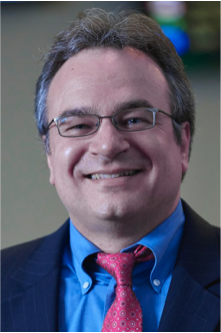 Vladimir Atanasov is Associate Professor at the College of William and Mary's Raymond A. Mason School of Business and a Principal at WEFA, LLC. Professor Atanasov has consulting experience with U.S. start-up companies, private equity funds and investment companies on problems including equity valuation, private equity investment contracts, portfolio management, asset allocation and product development. Professor Atanasov’s research focuses primarily on corporate governance and specifically on the effect of controlling blockholders on firm value. He also studies the effects of securities and corporate laws on the behavior of large investors and the relationship between certain legal statutes and capital market development. Past research projects have included the dilution of entrepreneurs in VC-backed firms and the effect of lawsuits on VC funding and deal flow. He joined William and Mary from the faculty of Babson College in 2005. Professor Atanasov received his Ph.D. in Finance from the Pennsylvania State University in 2002. In the Mason School, he teaches Financial Management, Portfolio Management, Equity Markets, and Derivatives and RIsk Management.